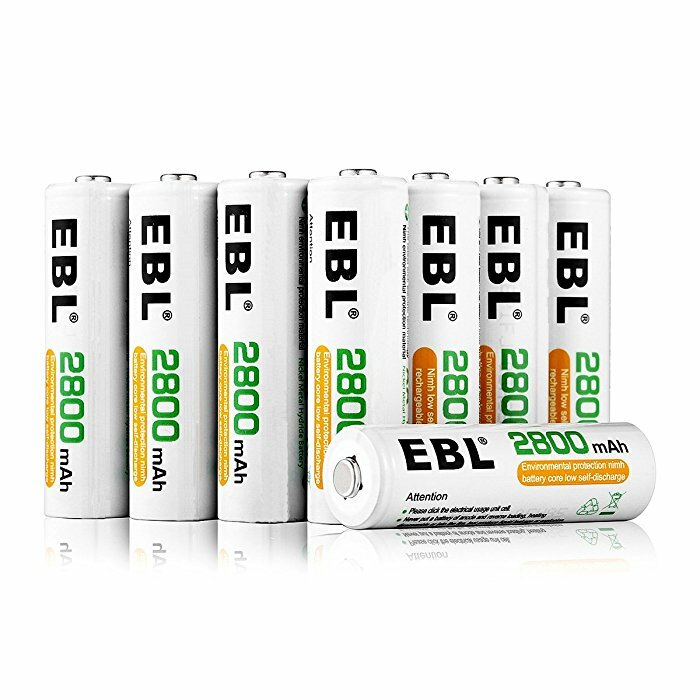 These 16-pack EBL 2800mAh AA batteries hold great battery energy which is able to power your devices reliably. 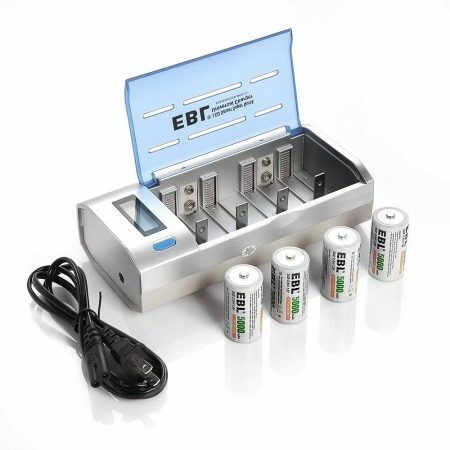 Up to 1200 recharge cycles: The rechargeable Ni-MH AA batteries have long lifespan to let you use the batteries repeatedly. 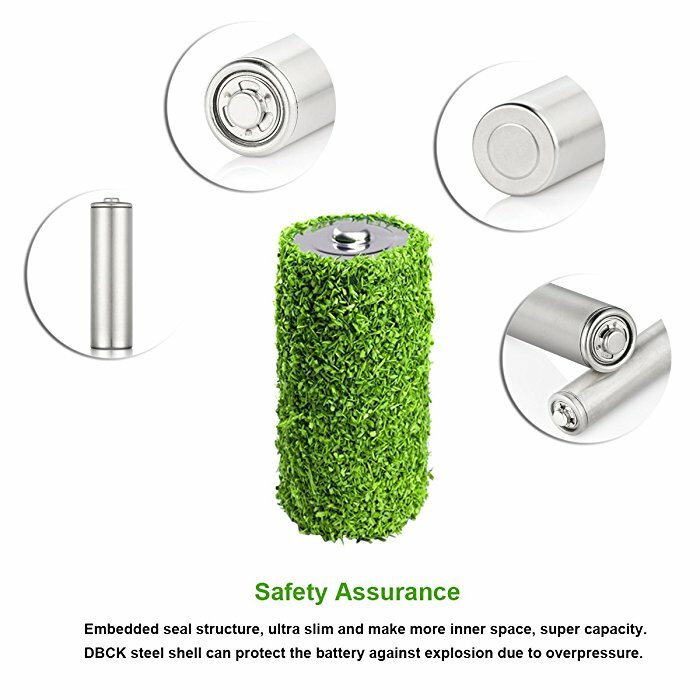 Highly safe and eco-friendly battery cells: the batteries contain no Hg/Cd/Pb, and use DBCK steel shells to prevent explosion caused by over pressure. 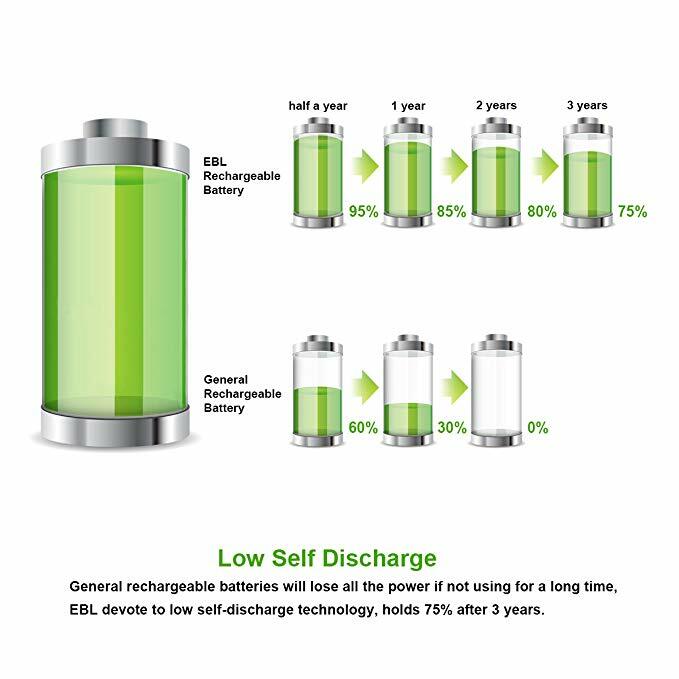 The batteries have great self-discharge control. They can hold about 75% capacity after 3 years’ storage. 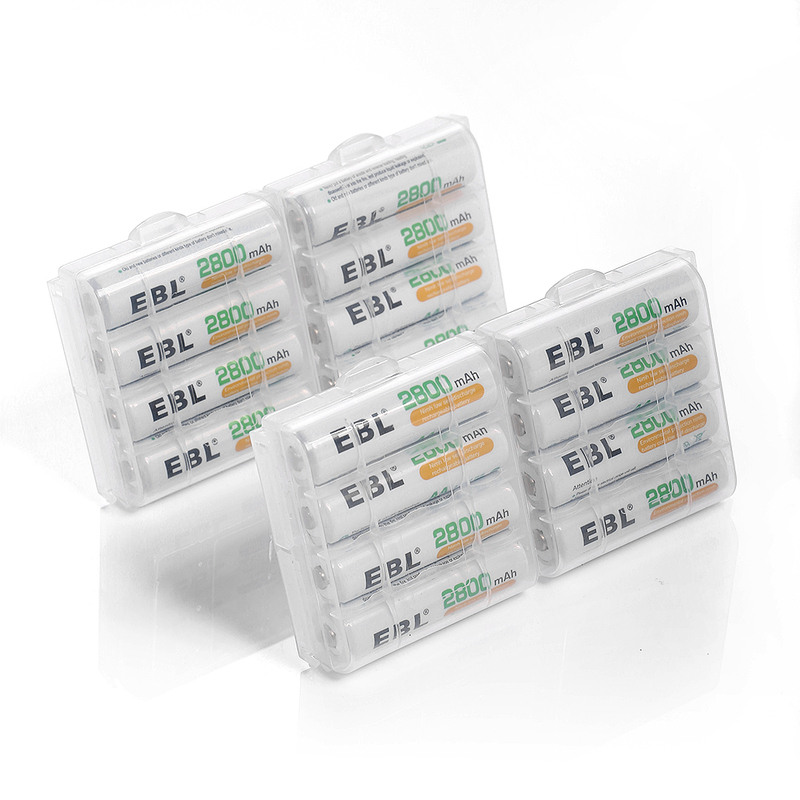 These EBL high capacity AA rechargeable batteries are made of reliable material and first-class efficient Ni-MH cells. 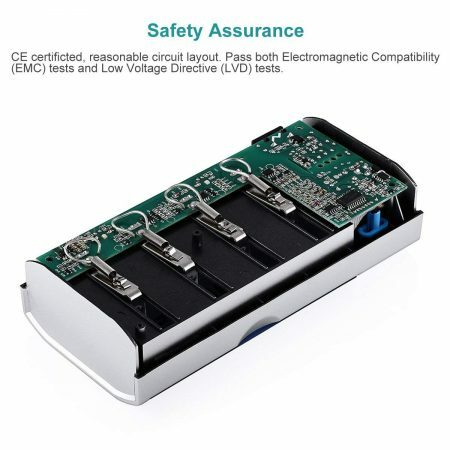 Batteries enjoy CE and RoHS certificates for stable performance and quality. 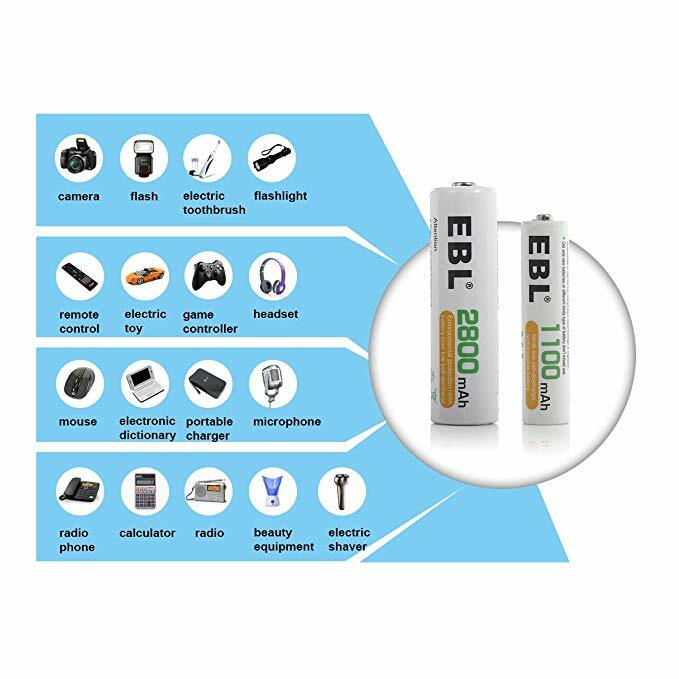 The long lasting AA batteries can be widely used for a great variety of high drain house devices, such as electronic toys, flashlights, remote controllers, electric shavers, toothbrushes, RC toys, TV remote controller, air conditioner remote controller etc. 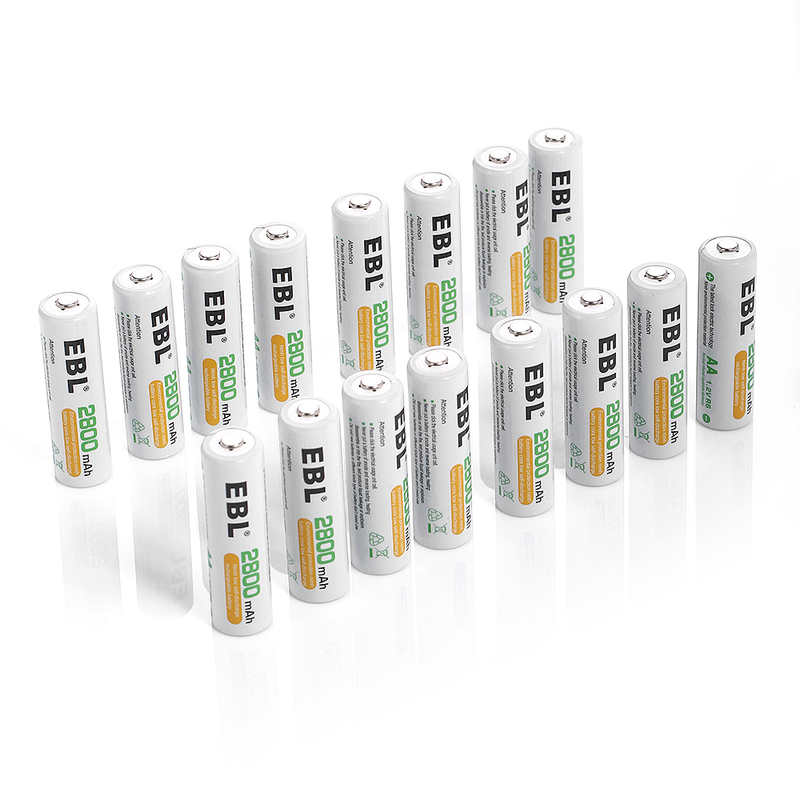 These AA rechargeable batteries have high power to meet the need of your devices in daily use. 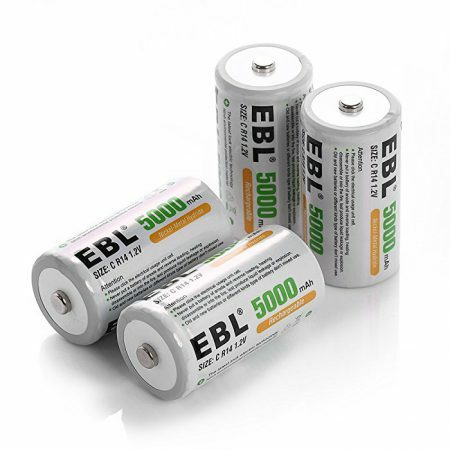 Rechargeable batteries are typically environmentally friendly products nowadays. They can be used repeatedly to save you a lot of money. 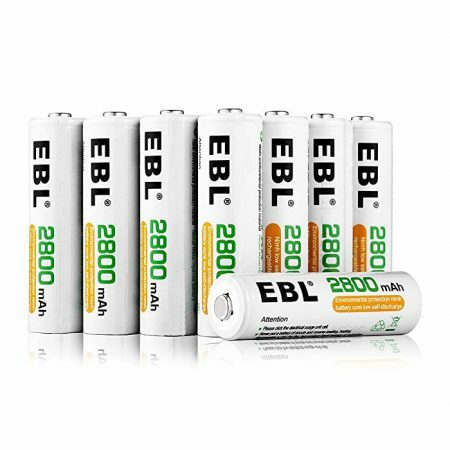 These AA size NiMH rechargeable batteries can be recharged fully quickly when they run out, letting you enjoy the greatest conveniences to power your everyday devices. 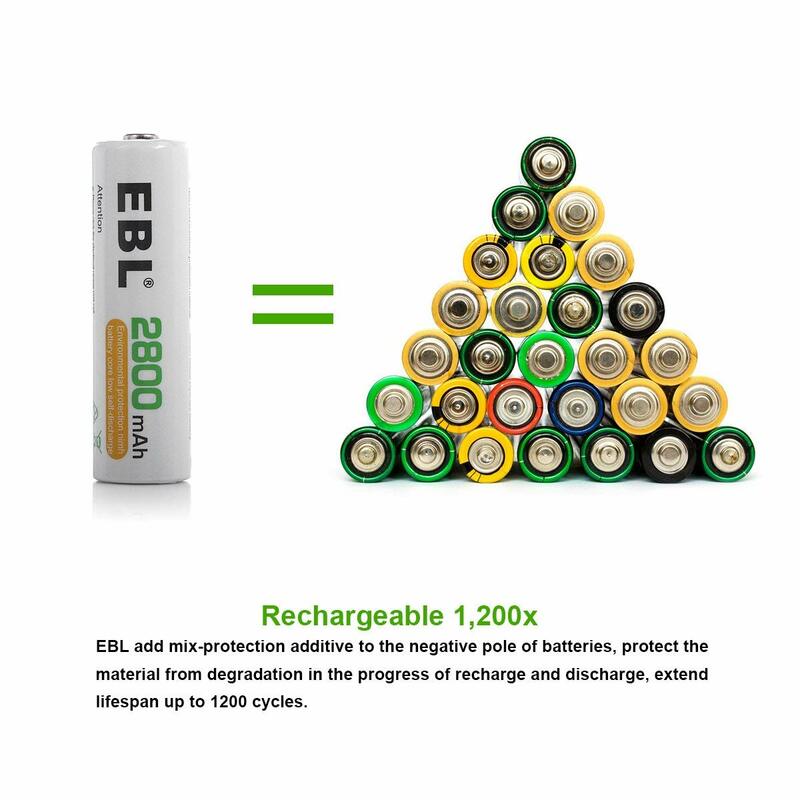 1200 recharge cycles and super low self discharge will make the AA batteries the best backup batteries for your home and office.